The walnut (juglans) belongs to the juglandaceae family. The Latin name juglans comes from Jovis glans or the « glans of Jupiter ». The black (American) walnut or juglans nigra which is purplish-red in colour. 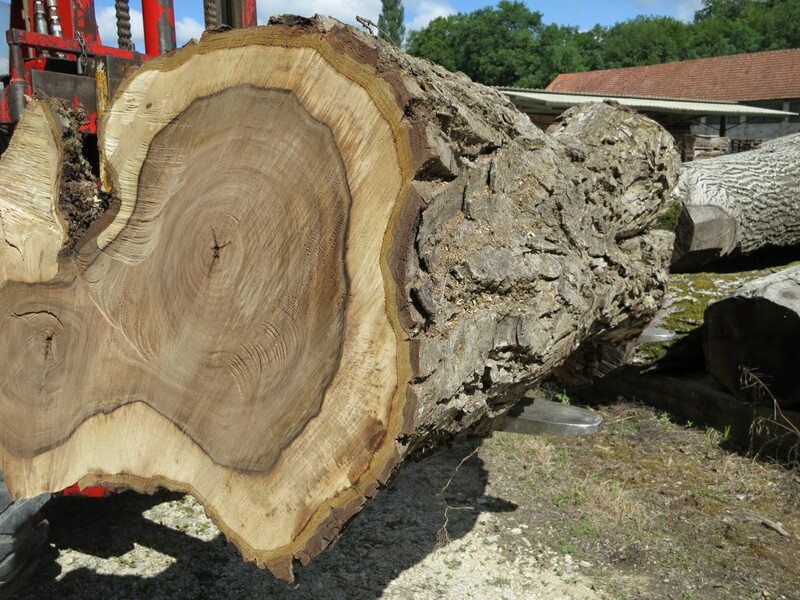 About twenty years ago a hybrid walnut made an appearance, born of a cross between the common and the black walnut. 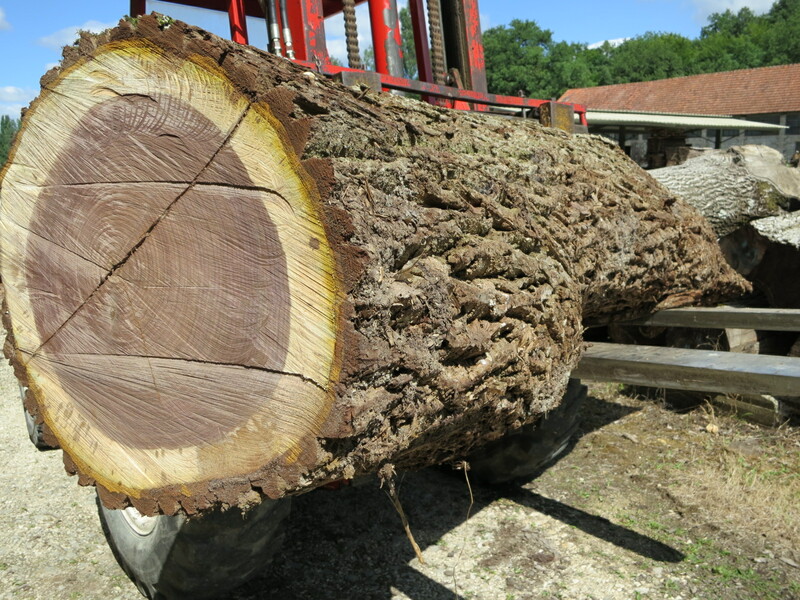 It is used for wood production because of its rapid growth. The walnut that we use and saw in Saint Geniès is bought locally from private landowners. Walnut is a valuable wood with a marked grain, which can vary in colour from pale to dark brown. It’s a wood with a good natural durability which resists shocks, doesn’t crack and develops a patina. Wood for gunsmiths: the best examples are selected to make the rough-hewn luxury quality stocks for the most prestigious shotguns and rifles. This is a woodland tree of the rosacea family which originated in the Middle East. It is also called the wild cherry. 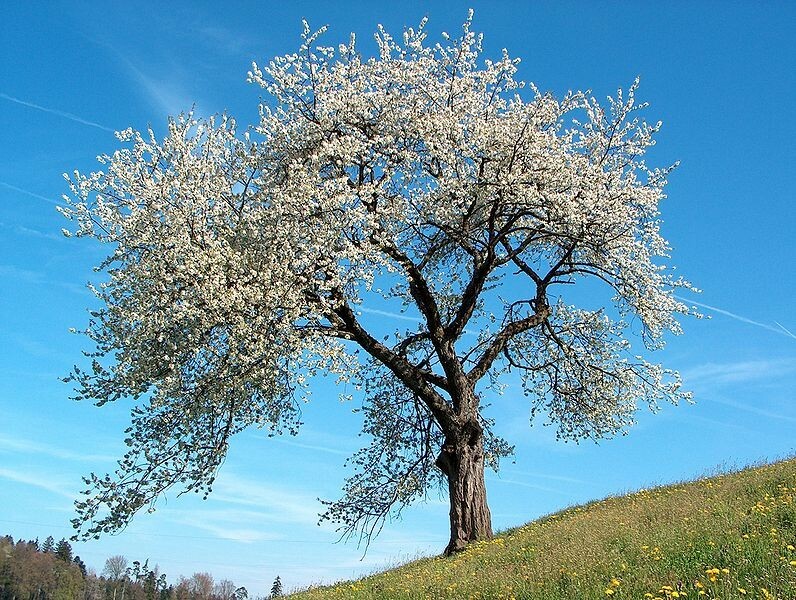 Its fruit, the wild cherry, is edible but sour, and is used to make kirch after distillation. They are often found in hedges, on the edges of woods and in light woodland where they can reach 15 to 25 m in height. This species survives intense cold and can be found at altitudes up to 800 m.
In Canada there is a variety of birch which is also called wild cherry. The wood is widely used in cabinetmaking and it is particularly appreciated for its rose-brown colour. We sell wild cherry wood to compliment our walnut products. 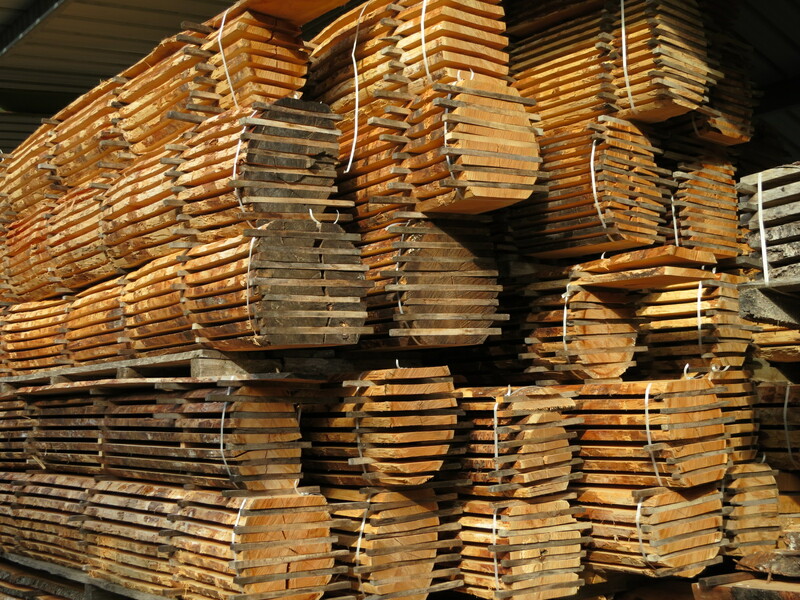 Our supplies of cherry wood are essentially from commercial forestry companies and we process the wood in our sawmill.